Once I purchased a 10 watts LED Flood light for Rs. 450. The Ad was so attractive that it is capable of giving light similar to 40 watts Tube light with low current consumption. But the result was disappointing. So hacked it to see the power, current and voltage consumption. 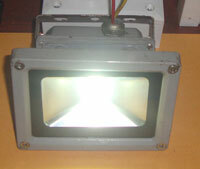 It is a 12Volt 10 Watts LED Flood light as mentioned in the pack. The result was very interesting. Nothing matches with theory, specification and real measurements. Generally, the 10 Watt White LED works on 12 V DC and requires 500 mA to 1 Amps current to get full brightness and Flood light effect. It has around 10V Forward voltage. It is usually powered by a high current LED driver that delivers 500 mA to 1 Amps current. Here comes the reality. Many LED flood lights use low current LED drivers or Capacitor power supply. 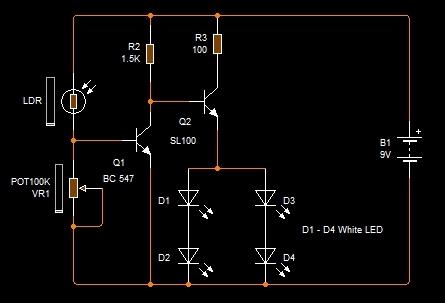 LED Driver is a small SMPS with an output current rating. It must match with the current requirement of the LED. Cheap Capacitor power supply can give only 75 mA current per uF. So we purchase the lights by looking the specifications on the package and not realizing the actual condition of the light. To experiment with that Flood light, opened it to see what is happening inside.Secret revealed. 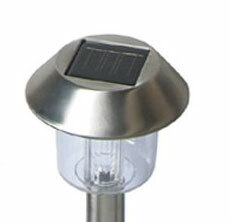 Here is a dual purpose LED light powered directly from 230V AC. It indicates whether power is available or not in the Three pin socket. Its second function is that, it is a very good Night lamp giving sufficient light in the room. If it is plugged in the Mains box, it shows whether domestic power supply is present or not and also gives light in the Mains box to work in night. Its cost is just Rs. 15. Make your own Emergency light using only a few components. It is powered by a 4 V 2 Ah Mini Lead Acid battery and uses Six 0.5 Watts White LED. Its output will be 3 Watts. Let us start to make it. 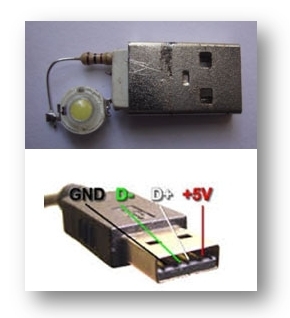 You can make a simple LED light to read and type in Computer or Laptop during night without disturbing other’s sleep. 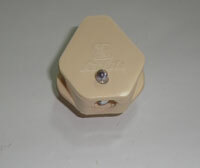 It is also useful as a mini Emergency light in the event of a power failure. It is too simple and powered from the USB port. USB lights are available in the market, but costs around Rs.150. You can make this USB light at the cost of just Rs.5. This is the simplest type of a Night lamp that gives ample light in a confined area. It is a White LED lamp directly powered by 230 Volt AC. It uses only four components and can be enclosed in a three pin plug that can be plugged into the socket. 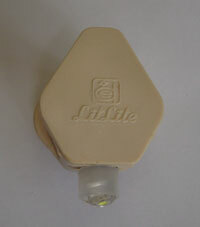 It also functions as Power on Indicator, Cupboard light, Baby’s bed lamp etc. Its cost is just Rs.20 and power consumption is very low.